Has anyone substituted cdc instead of partridge? And if so how did they work out? Hi WBDluver , CDC will work if you use it very sparingly . Using to much of it on a fly will cause it to mat together and it will become one mass and not have much movement at all. If you use froggs fanny it will form bubbles on the CDC which seems to attract fish when it is pulled under. It definitely does the job for emergers and dry flies but for soft hackles I would stick with partridge , starling and the like.. I like to tie a collar of cdc just like you would tie a hen hackle for a soft hackle - it is a really mobile soft hackle. 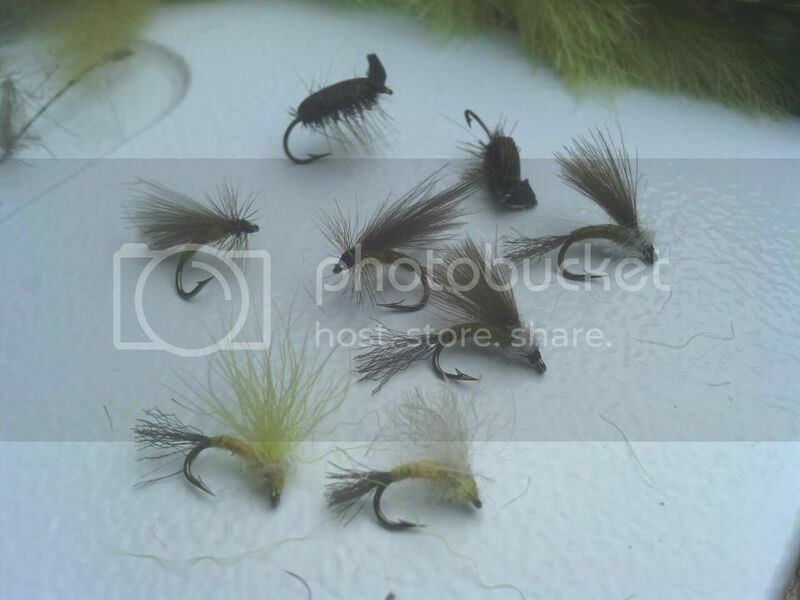 However, I usually do it with a heavier fly - like a bead head nymph or soft hackle. One of my favorite caddis pupa flies was a body of glass beads, a dubbing thorax, and a turn of cdc like hackle. It worked pretty well for me. CDC is great for small flies since you can just break the fibers off to adjust length and it will look OK. I like to put a turn of CDC behind a collar of partridge. It has great action in the water. Also it will add to the float-ability of the soft hackle to allow it be fishes in the film a tad higher then one without. And if you don't fish soft hackle flies in the film, I suggest you give a try. NEFFs own Lambda Lambda Lambda fraternity. NEFFs own Omega Moo sorority.